Uber is accused of swiping trade secrets from the Alphabet subsidiary Waymo - reflects a struggle that is as old as the wildly aspirational, incestuous, high-tech valley they both call home. Uber claims Waymo has no evidence that the ride-hailing giant is using their technology. The ongoing battle between Waymo and Uber, which comes to a head in a San Francisco courtroom Monday, is partly a fight over the potential trillion-dollar future of automated driving, and one that both companies are heavily invested in winning. But the heart of the dispute - Uber is accused of swiping trade secrets from the Alphabet subsidiary Waymo - reflects a struggle that is as old as the wildly aspirational, incestuous, high-tech valley they both call home. For as long as hyperaggressive companies have fought for competitive advantage in Silicon Valley, often with billions of dollars at stake, there have been accusations of missing files, suspicious hires, plagiarized ideas and stolen trade secrets. For example: Apple vs. Xerox in the 1970s; and Instagram vs. Snapchat and Apple vs. Samsung over the last decade. What makes this case stand out, experts say, is not only the size of the companies involved (collectively, Uber and Waymo are worth more than $100 billion), but also the influential names that could take the stand: Larry Page, chief executive of Alphabet, the parent company of Google and Waymo, and former Uber chief executive Travis Kalanick. Perhaps it's only appropriate that the biggest legal battle of the fledgling automated driving era would present jurors with a seismic question as well: Was Uber - the multibillion dollar ride-sharing platform - behaving like any other tech company when it hired a standout engineer who had formerly led Google's self-driving car team before it spun off into Waymo? Or was the company engaged in a nefarious conspiracy involving multiple people to steal years of hard-earned secrets? A verdict against Uber could force the company to strip autonomous technology from its fleet of self-driving vehicles, experts say.These vehicles have been navigating Pittsburgh streets since 2016 and a few others since then. In another industry, these types of conflicts might be dismissed as isolated incidents. But in Silicon Valley, experts say, they are a distinctive cultural feature created by high turnover rates and the fast pace of innovation, which pushes workers to remain in a constant state of adaptive learning and reinvention. Defining where the companies end and the worker begins - and who owns what's inside their head - can be impossible,according to Arun Sundararajan, professor at New York University's Stern School of Business. "It's very hard to draw the line between what an engineer has acquired on their own and what is the property of the company and has been embedded in a product," he said. "But the spillover of engineers working for one company and going to another after acquiring valuable knowledge is endemic in Silicon Valley and in the tech sector in general." The result is what Sundararajan calls "digital cross-pollination," an inevitable sharing of intellectual capital that researchers can actually track by mapping labor flows across companies. When it comes to the Waymo-Uber case, jurors will have to decide whether digital cross-pollination occurred between the two companies, and if so, whether it was conducted under nefarious circumstances. Waymo is accusing Anthony Levandowski - at one point a star engineer - of stealing 14,000 confidential files from Google's parent company, where he had worked as a senior engineer in driverless cars, making efforts to cover his tracks. The company claims those files were used to help Uber when Levandowski joined the company and later ran Uber's self-driving unit. Levandowski had left Google in January 2016 to start his own company,a self-driving car start-up known as Otto, which was later acquired by Uber for $680 million in August 2016. Kalanick then installed Levandowski as the chief of Uber's self-driving program, a hire that Waymo alleges was a deliberate effort to steal their technology. Waymo's lawyers will likely argue that the engineer's actions present an extreme case of unethical conduct that resulted in Waymo technology being directly infused into Uber's technology, catapulting the company ahead of where it was. "This is not a case where an engineer accidentally stepped over the line from know-how to stealing trade secrets because they didn't know where the line was," a Waymo spokesman said. "The evidence shows that Levandowski and other individuals at Uber intentionally and willfully misappropriated Waymo's trade secrets." If he takes the stand in the coming days, Levandowski, who was fired from Uber last year for refusing to cooperate with investigators associated with the case, is expected to invoke his Fifth Amendment right against self-incrimination. Though Uber claims Waymo has no evidence that the ride-hailing giant is using their technology, Waymo claims that schematics, photos of Uber devices revealed during discovery and the testimony of Uber engineers prove otherwise. The question for jurors is whether that evidence amounts to a trade secret? "Information that is generally known in the field or is readily ascertainable by proper means by those skilled in the art at the time of the alleged misappropriation cannot qualify as a trade secret," William Alsup, the federal judge overseeing this case, writes in his draft jury instructions. "There is no fixed standard for determining what is 'readily ascertainable by proper means.'" To recover monetary damages of what some say could be nearly $2 billion, however, Waymo lawyers will have to show that Levandowski not only stole trade secrets, but that those alleged secrets are being used by Uber and leading to "unjust enrichment," a measure of damages in which a defendant "reaps an undeserved benefit," such as accelerating their development timeline or saving labor costs. "Acquisition alone will not be enough to recover damages," the jury instructions note. The companies will likely argue over eight alleged trade secrets, whittled down from around 100, that revolve around Uber circuit boards and lidar, a laser sensor that helps automated vehicles measure the world around them. 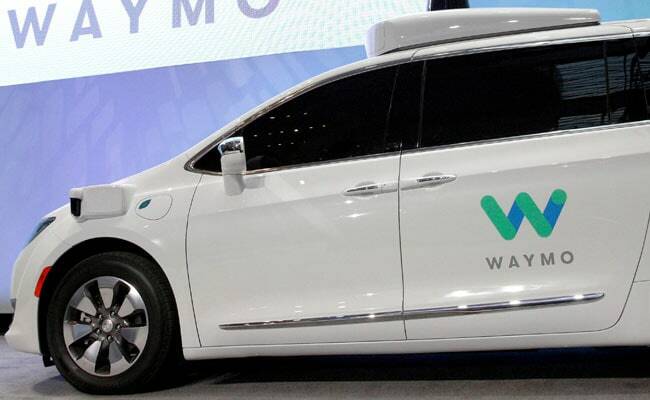 This could present a tall order for Waymo, which only has 16 hours to make its case to a jury that is unlikely to be familiar with the intricacies of automated vehicle engineering. Time that could be used to present evidence will end up being used to educate jurors about said evidence. After a year of devastating headlines involving multiple federal investigations and allegations of sexual harassment, Uber is hoping to avoid a trial that becomes a referendum on the company's imperiled reputation. Even so, Uber officials say they are optimistic about the trial's outcome. Escaping the trial unscathed could help Uber Chief Executive Dara Khosrowshahi move his company beyond its stormy past into a new era of accountability. Regardless of the outcome of the trial, Sundararajan said, the damage to Uber has already been done. "The fact that the lawsuit was filed and that it may have slowed Uber's autonomous vehicle program, embroiled them in this extremely expensive lawsuit and added to the suspicion surrounding the company suggests that - whatever the outcome - Waymo has achieved its objective."